We hosted our fourth #LifeAtNEXT couch session at NEXT HQ and it was all about designing with a greater mission in mind. 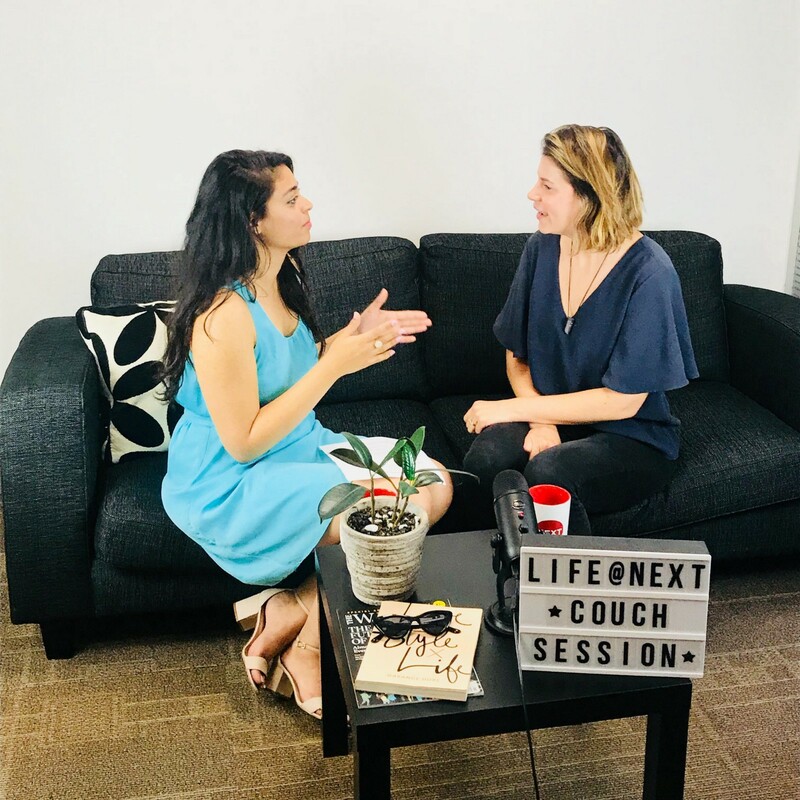 During this couch session, Next Founders Shonezi Noor (Co-founder & CEO of Will + Zack) & Lindsay Lorusso (Co-founder & Chief Explorer of Nudnik) discuss their entrepreneurship journeys while diving deep into how the fashion industry is changing to be more impactful and inclusive. You can find the chat linked above in video and audio formats or you can catch the highlights below. What inspired your venture idea? Lindsay Lorusso (LL): Nudnik is the brain child between me and my twin sister Alexandra. Prior to launching Nudnik in 2016 we spent a collective 20 years working for our father’s waste management company here in Toronto. It was through that experience that we learned about what kind of waste was being turned into other things and what type of waste was not. Textile waste was one of the things that wasn’t being turned into anything, both locally or globally. That, coupled with me having my first young child, led to the idea that we could take these brightly coloured fabrics, chop them up and create kids clothes with them. Shonezi Noor (SN): My co-founder Natasha Saviuk started Will + Zack while she was doing her PhD in Neuroscience, of all things, at McGill University. She has always been an artist and from a young age was painting on silks. As a teenager, she was really inspired by creating those painted silks into garments and that’s where her roots in production and product came about. As she was completing her PhD she had this call back to her early creativity to produce products again. At the same time, as a petite woman she found that clothing pulled off the rack was not made for someone of her build and proportion. When she started making clothes for herself it was really to figure out her own fit issues and when those two worlds bridged together, people started to take notice of the clothes on her and asked her to make them. Tell us about your greatest win so far. LL: A few validations came from developing our idea include getting into the Joe Fresh Centre for Fashion Innovation (an 18 month accelerator program), and NEXT Canada of course. Being brought into these business accelerators in Toronto and being brought into that startup community was huge for us. It validated our idea and us as founders and we were able to learn from all of our mentors and gain access to resources. The press has also been wonderful to us. We have gotten a lot of organic press on how we do our business. It’s a huge win every time we get in front of someone or someone writes a piece on us. The last thing was we were at DX3 in Paypal’s startup alley in February and they had a pitch competition that we won. All of those things combined have really given us the confidence that we are on to something. SN: We were in a cab on our way to one of our first customers, putting in the final stitches of her garment. When we put it on her, she looked at it and said, ‘Wow, this is the best suit I have’. She wore the suit out of her appointment to her next meeting which was a big presentation she was giving. It was such a good moment for us. Another win was when I got to watch Michelle Obama live in Montreal last February. I was in the coat check line and saw a customer of mine. I asked her how she was doing and she said that things are going great and that she needs another suit. She said that the suit she bought from me is on rotation even though she is trying to save it for her important meetings. To receive that kind of feedback is so energizing. Do you think that sustainability and inclusivity are fads, or are we at a turning point? LL: I hope it’s not a fad. I hope that this is a big time for fashion businesses and people around the world to create sustainable business models that are inclusive. It’s interesting because I am raising two young children and I have a children's brand so a lot of my family’s morals and values are coming out through Nudnik. It’s about raising children that are inclusive and are avoiding certain stereotypes. For example, boys can wear pink and girls can wear blue. Colours are something that we can celebrate, they are fun and kids should be able to have fun with them. SN: I think inclusivity in the fashion industry is such a hot topic, but hot in a way that it produces a lot of emotion. Everybody feels very emotional about what inclusivity means and in our journey at Will + Zack, as we were trying to understand what that means for us as an organization, it showed up in several ways. For one, there is this element of not doing ready-to-wear from the perspective of wanting to not produce production waste in particular with products that don’t get sold due to sizing. Sizing as a concept in inclusivity is something that both my co-founder Natasha and I are so passionate about, because we are very different body shapes and have definitely personally gone through those waves where your weight fluctuates or your body shifts as you age. How that effects your self-esteem, when you go into a store and realize that your size has changed is kind of silly. 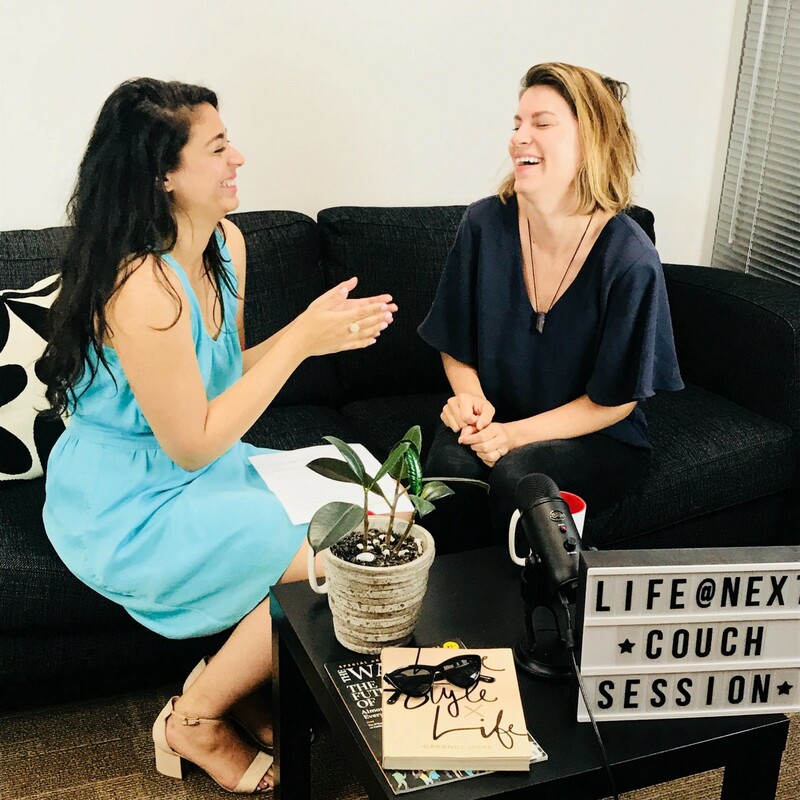 When Natasha was interviewing and meeting with her first clients, one of the things that kept on coming up was this comparison of your body to ready to wear. It’s a little bit crazy that the industry should be serving you rather than you trying to fit yourself into the industry and that was one of the core founding values that came into how we design product and why we decided to never do ready to wear at Will +Zack. Is lean manufacturing something that companies should always be considering? Lean Manufacturing: Doing more with less by employing ‘lean thinking.’ Lean manufacturing involves never ending efforts to eliminate or reduce waste in design, manufacturing, distribution, and customer service processes (BusinessDictionary.com). SN: Absolutely! I think that the ecosystem has to evolve to that type of business model. Look at the legacy model: so much is focused on the existing infrastructure because they have done things now for 60 years so they have to continue doing it that way. That’s where you (Lindsay) and I have kind of challenged whether that has to be the case and have found ways to do things differently. I’m excited for new brands that come in beyond us because being that example and being that first person to do it is a strong signal to the market that it can be done. Can you talk about your role in the industry that you are trying to shape? LL: If I can get to a place where I can speak about circular economies and how we convert waste products into new products I’d feel like a very fulfilled person. So not only do I want to build Nudnik’s brand and vision out, but I do want to speak about it. I want to be on a platform where I can inspire others, speak with others about the idea of circular economy. I think that for the big vision and where I want to go personally is to absolutely become a thought leader on circular economy within the fashion landscape. SN: On the one hand I really want us to be focused on building products that people want, but I guess the thing that excites me coming from a background in retail is the prospect of re-engineering the business model of retail. My ultimate dream is made to order and made to measure being the dominant business model in retail and one of the things that needs to happen for that to be the case is a strong example of a brand that has done it and I want Will + Zack to be that brand. LL: I wrote two. The first one is get involved with startup communities. NEXT Canada has been instrumental in the last few months for the success of our businesses moving forward and also helped us create and be part of this amazing network. So I think get involved a) for the network and b) for the resources mentorship and skills. The second thing would be to think outside of the box. Fashion is just another great example of an industry that is desperate for innovation and disruption. We’re two examples of being able to do that today and are doing that today in a very old and very complacent industry. So the more you can think outside of the box and be different and innovative you’ll be able to create a really interesting business model that’s different than others. SN: The number one thing I would say to add to your to do list is self care. For me I’m going to have a nice ice cream cone as I walk down the street on this gorgeous day. And for you if there’s anything ever that Lindsay and I can do to help support you in your journey to get involved or take care of yourself we’re here. That’s one of the great things of being a part of the NEXT Canada community. Thank you for tuning in. 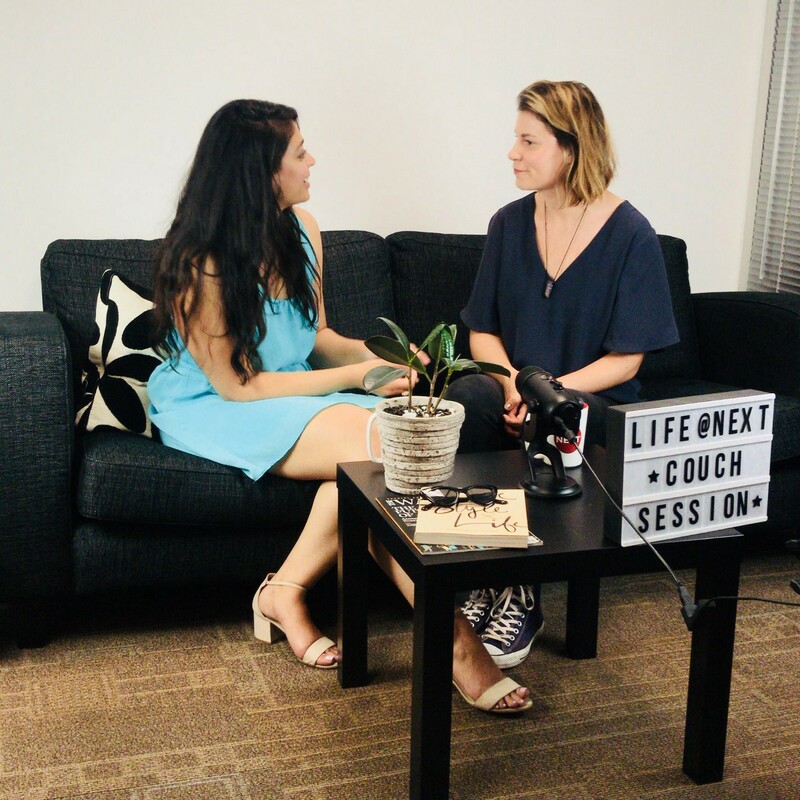 Our next #LifeAtNEXT couch session will be available for you to watch, listen to or read here on our Medium blog on August 17th. Follow Shonezi and Lindsay’s journeys on Instagram!